The Giants can keep Steve Spagnuolo. Think Bill Davis' defense was bad in 2015? It could have been a lot worse in 2016 had the Philadelphia Eagles hired Tom Coughlin. According to Gary Myers of the Daily York Daily News, Coughlin decided not to accept the Eagles' head coaching job because he would not have been able to bring his old coaching staff along with him. The Giants hired offensive coordinator Ben McAdoo to be their head coach the night before, and it is reportedly McAdoo's intention to keep the Giants' staff intact. With Coughlin's old staff staying in New York, Coughlin was uninterested in hiring a new one. As a result, the Eagles may have dodged a bullet. 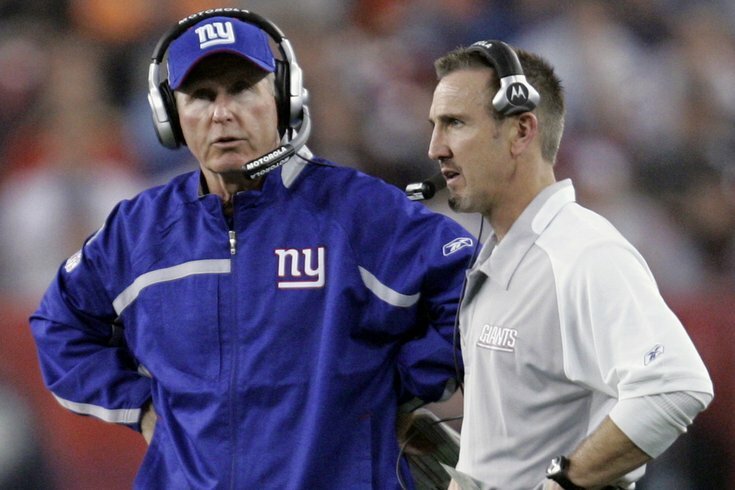 Had Coughlin been able to bring his old staff with him to Philly, that might have meant a package deal of Coughlin and defensive coordinator Steve Spagnuolo. That would not have been good. Spagnuolo was an assistant coach with the Eagles from 1999 to 2006, before being hired by the Giants to be their defensive coordinator in 2007. The Giants promptly won the Super Bowl with the help of a Giants defensive front that included Michael Strahan, Justin Tuck and Osi Umenyiora. The Giants defense followed up its Super Bowl year with another strong season in 2008 and Spagnuolo was snapped up by the Rams to be their head coach. As the chart above shows, Spagnuolo's defenses have finished dead last in the NFL in each of his last two seasons as a defensive coordinator. In fact, the 2012 Saints and 2015 Giants defenses rank worst and third-worst respectively in NFL history for yards allowed in a season. If you think Bill Davis should be replaced as the Eagles' defensive coordinator, and this "stay or go" poll shows that 91 percent of you do, at least he has fared better than Spagnuolo. Add some PhillyVoice RSS feeds.